you know how viral facebook is. you click on something or you do a quiz (too many quizzes spam on the news feed!) and your friends know about it on their news feed. i can imagine tons and tons of people catching on to this from friends of friends of friends. great move, but a pretty gutsy one! 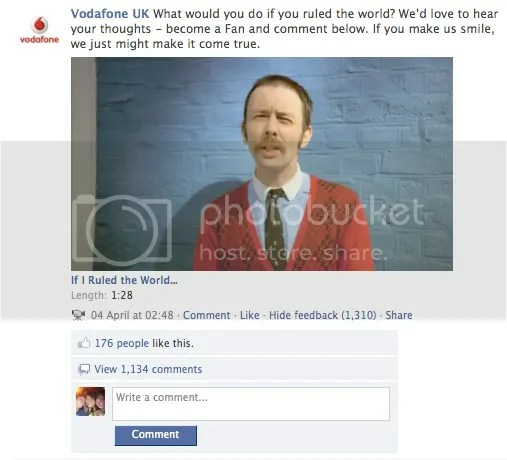 but then again, vodafone always had this quirky eccentric side, so even if the comments weren’t entirely angelic or positive, it won’t create such a big hoo-ha. ← Jameson Irish Whiskey – Are You Talking To Me?